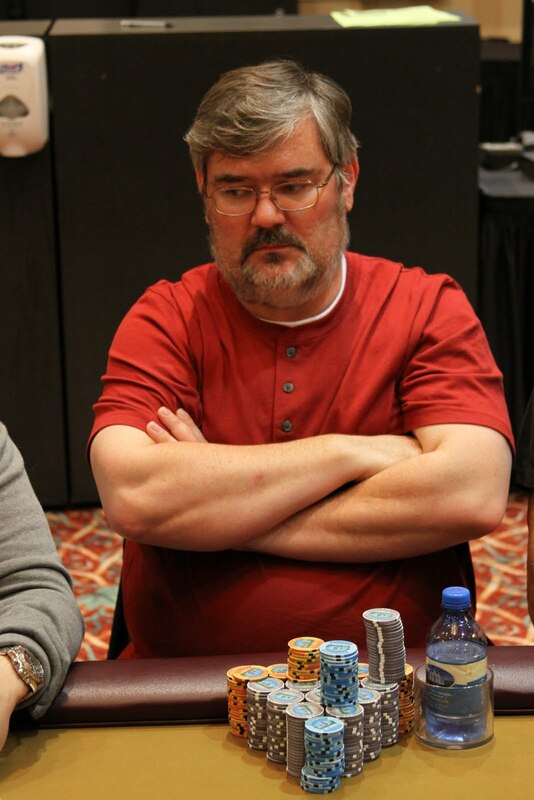 Dennis Phillips has been eliminated from the Mega Stack Challenge Main Event. He gave his opponent a shirt and hat before leaving the table. 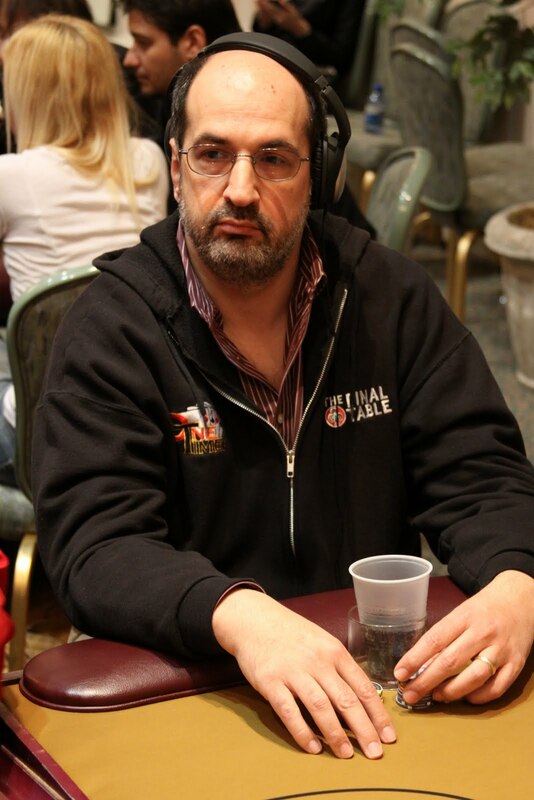 The video of the elimination hand will be posted shortly. The remaining 62 players are now on a 10-minute break. When they return, the blind will be increased to 1K-2K with a 200 ante. Bernard Lee was just eliminated from the Mega Stack Challenge when his A-Q could not improve against his opponent's A-K after getting all the chips in the middle on an ace high flop. On a board of [Kc]7x3x, Luis Vazquez's opponent bet out 4,200. Vazquez made the call and the turn was the [9c]. This time, his opponent led out for 8,000. Again, Vazquez made the call. The river came the [3c] and his opponent went into the tank. 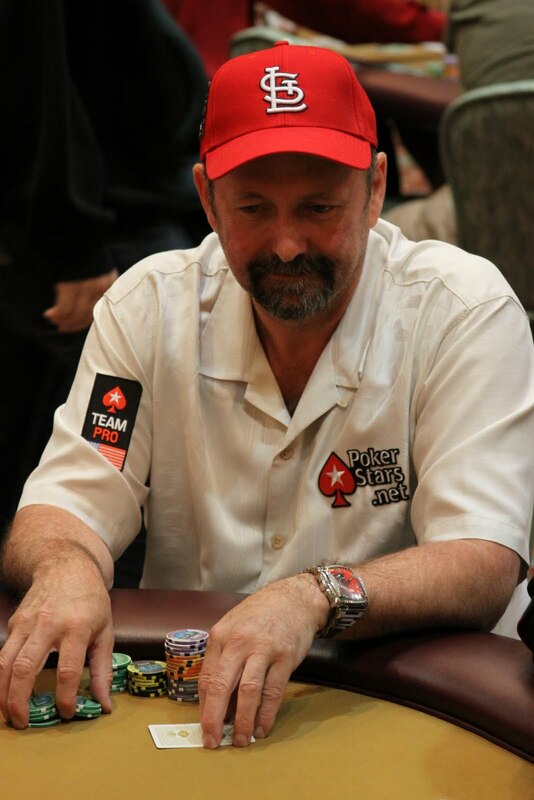 After a few moments, he moved all in for his last 40,000. 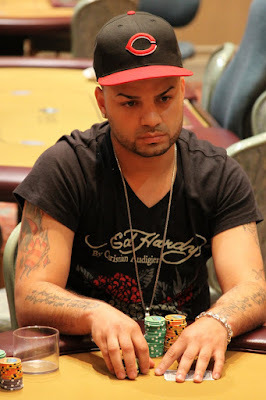 Vazquez studied the other player for a minute before tossing eight black 5,000 chips into the middle. His opponent said, "You win." and tabled J-10 off suit for jack high. Vazquez flipped up A-J for ace high and raked in a pot that boosted his stack to well over 200,000. 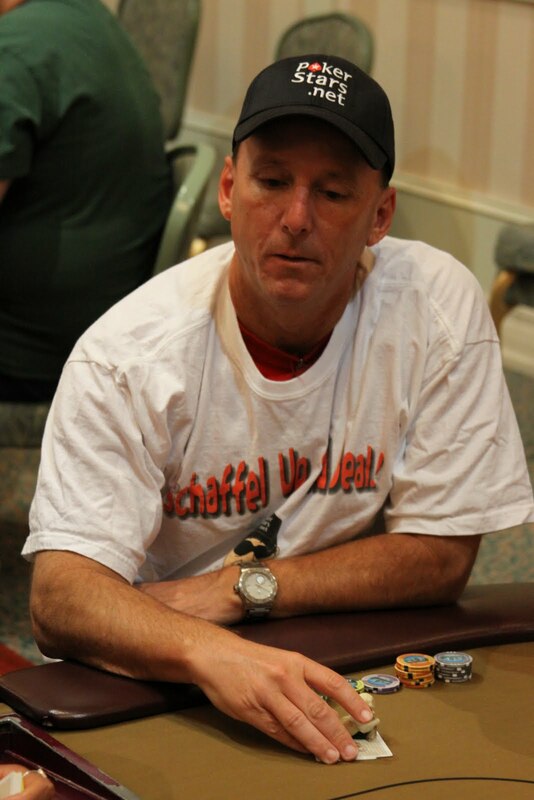 Kevin Schaffel just doubled up to over 100K when he got all of his chips in the middle with A-Q against his opponent's 8-6. An eight hit the flop but so did an ace and Schaffel's pair of aces held up. The players are currently on a 10-minute break. When they return, the blinds will be increased to 600-1,200 with a 100 ante. Players have returned from dinner break and the blinds have been raised to 400-800 with a 100 ante. 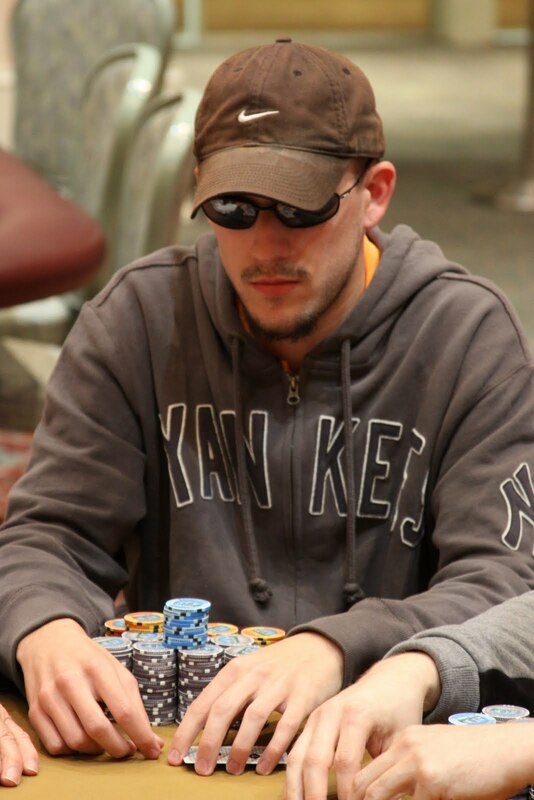 The 116 remaining players in the Mega Stack Main Event are now on dinner break until 7:30PM. There are approximately 125 players remaining. 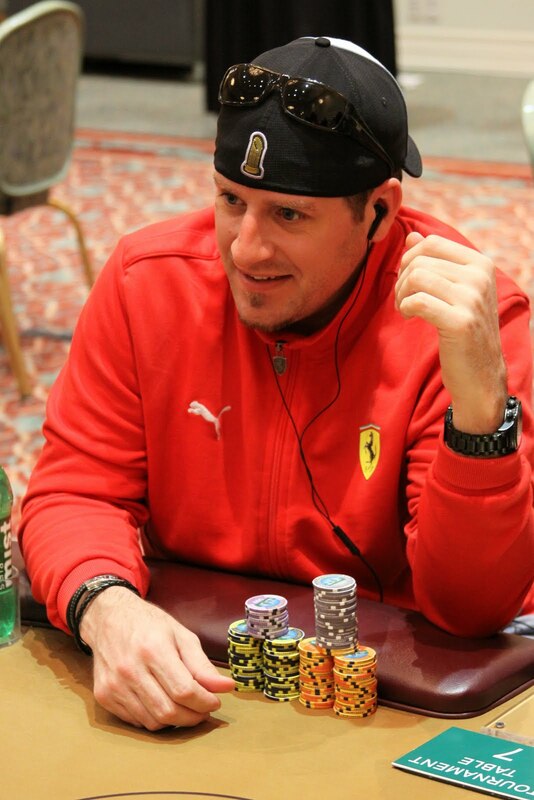 Kevin Schaffel, who finished 8th in last years WSOP Main Event, talks to Jay "WhoJedi" Newnum about the upcoming World Series of Poker and his action at the May Mega Stack Challenge at Foxwoods Resort and Casino. The 143 remaining players are currently on a 10-minute break. 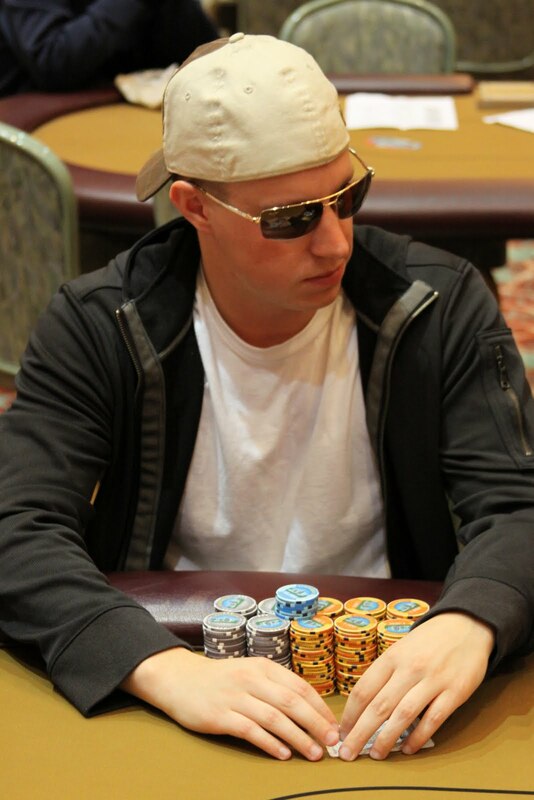 When they return, the blinds will be increased to 250-500 with a 50 ante. 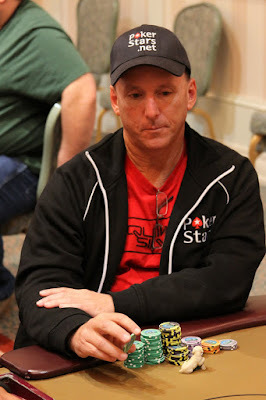 Scott Blake, who made a deep run in the $560 Mega Stack Challenge event, has just been eliminated on day one action. A short-stacked Blake got all his chips in the middle with [Jc][9c] on a board of [Ts][8c][6c] against an opponent holding pocket eights. The turn was the [Th], giving his opponent the full house and a meaningless [Ad] fell on the river. 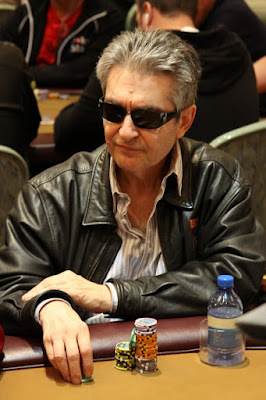 We had a total of 166 players in the $1,650 NLHE Mega Stack Main Event. The top 20 places will finish in the money. There are approximately 152 players remaining. When play resumes, the blinds will be 150-300 with a 25 ante. Registration is open through the end of this level. 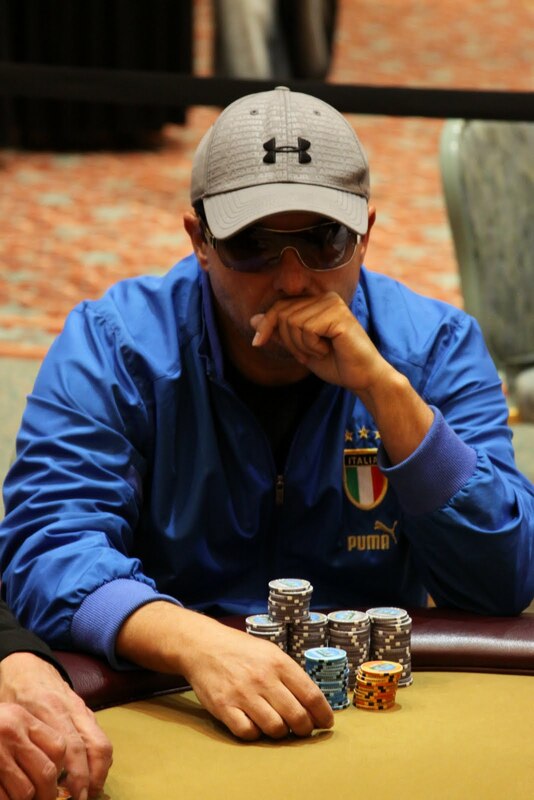 2010 Foxwoods Poker Classic Main Event Champion Luis Vazquez has joined the field in today's Mega Stack Challenge Main Event. 2008 WSOP 3rd place finisher Dennis Phillips and 2009 WSOP 8th place finishers Kevin Schaffel are serving as hosts for the 2010 May Mega Stack Challenge here at the Foxwoods Resort and Casino. 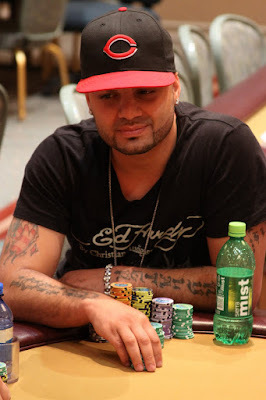 Both are in the field for today's Mega Stack Challenge Main Event. Registration is still open for today's event. 2009 WSOP 8th place finisher Kevin Schaffel gets play started on day one of the 2010 May Mega Stack Challenge Main Event at the Foxwoods Resort and Casino. 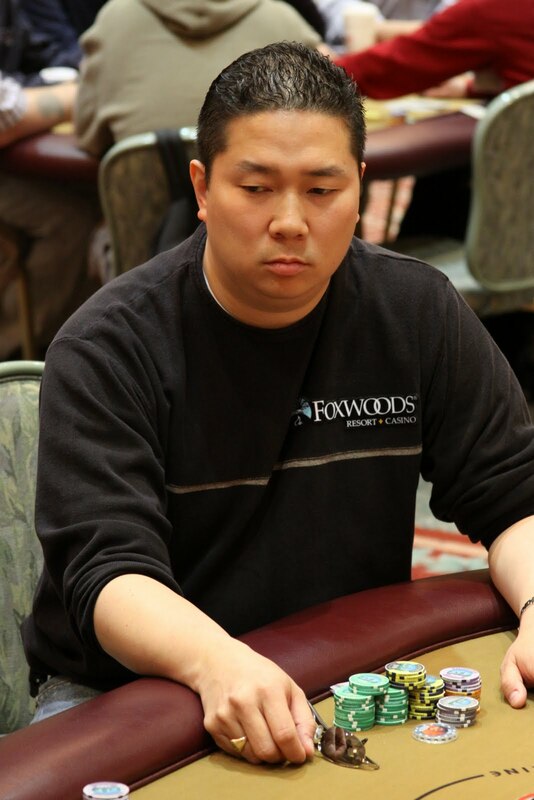 Foxwoods Mega Stack Main Event is Underway! 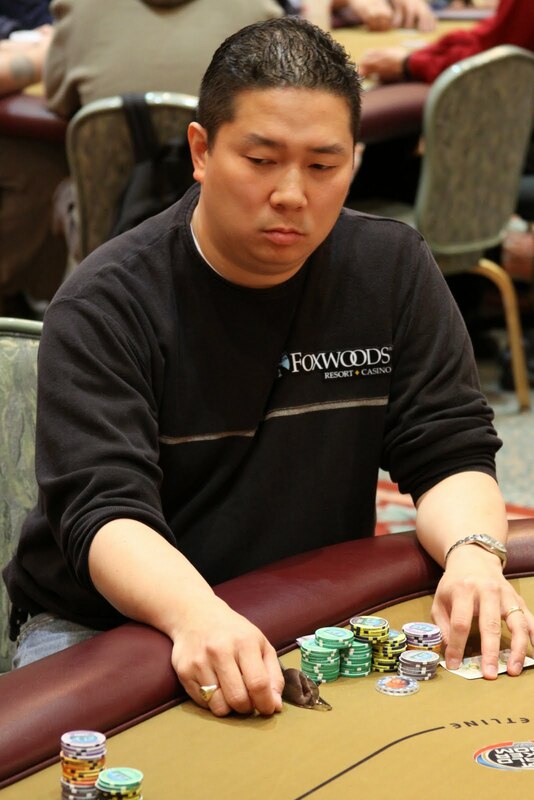 Cards are in the air here at Foxwoods! Registration will remain open for the first few levels. 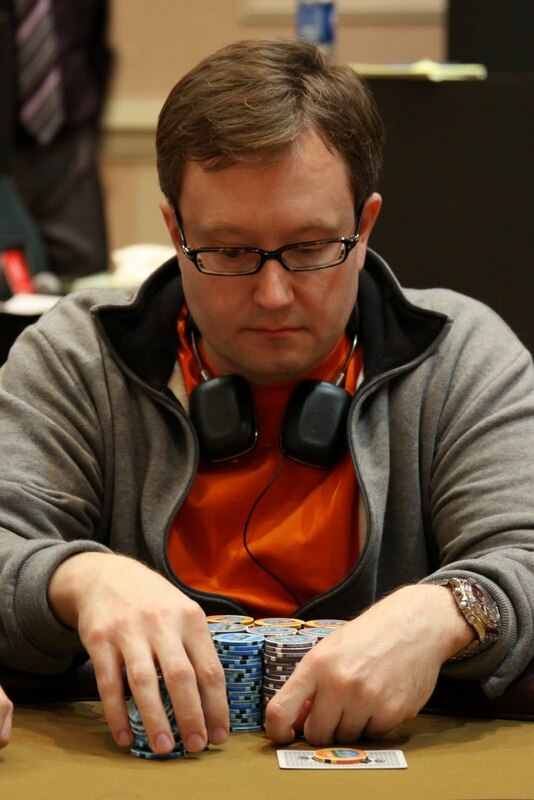 The $1,650 NLHE Main Event of the 2010 May Mega Stack Challenge is about to get underway. Players will start with 40,000 in chips and the blinds will be 50 minutes on day one, 60 minutes on days two and three. When we reached three-handed play, a deal was made with Chris Ganias receiving $44,527 and the victory, Alexi Lammi credited for second place and $25,137 and Glenn McCaffrey third place and $25,137. 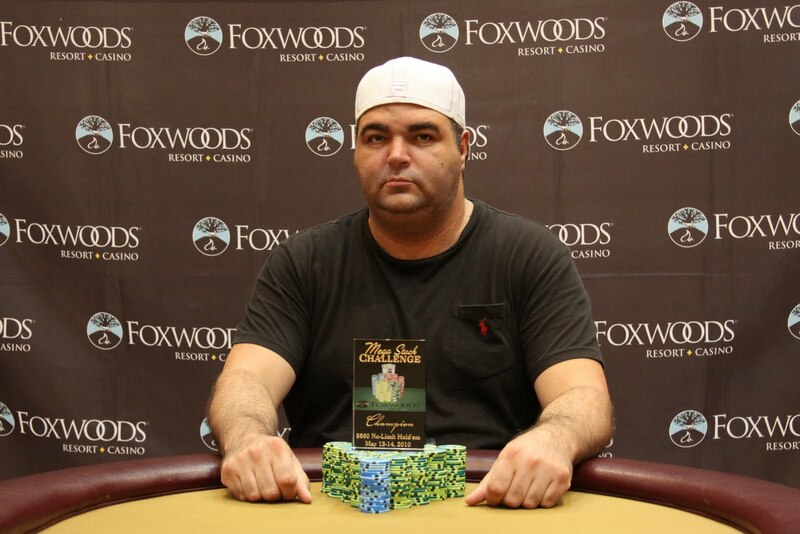 Congratulations to Chris Ganias, champion of the $560 Mega Stack Challenge at the Foxwoods Resort and Casino. 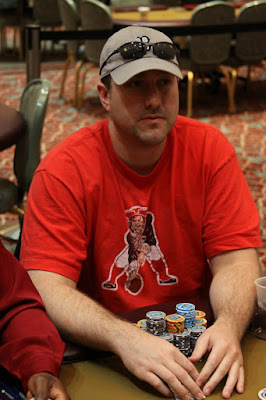 Stay tuned tomorrow for coverage of the 2010 May Mega Stack Challenge Main Event starting at 11AM. 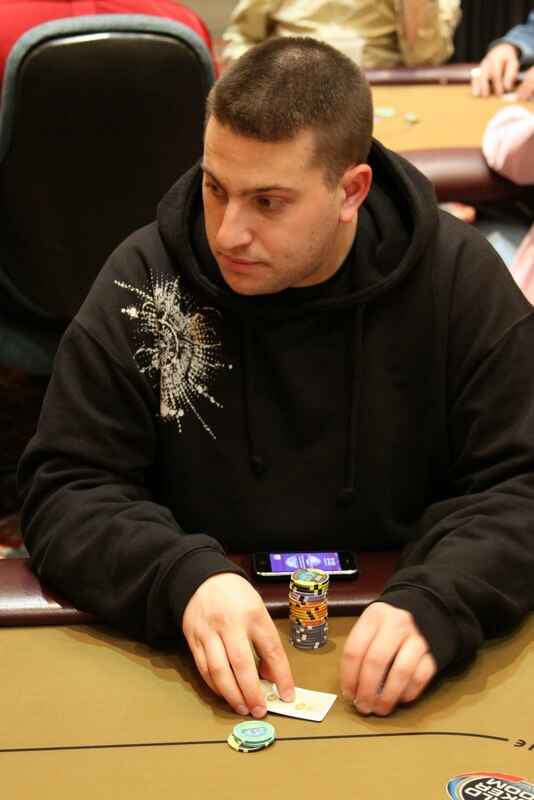 The board came [Qd][8s][5c][8h][3h] and Ganias won the pot to eliminate Freeman in fourth place. The board ran out [Ah][Tc][7d][9c][Qs] and Ganias made a pair of aces to win the pot and eliminate Coghlan in 5th place. The five remaining players are now on a 10-minute break. Tournament officials are coloring up the 5K chips. 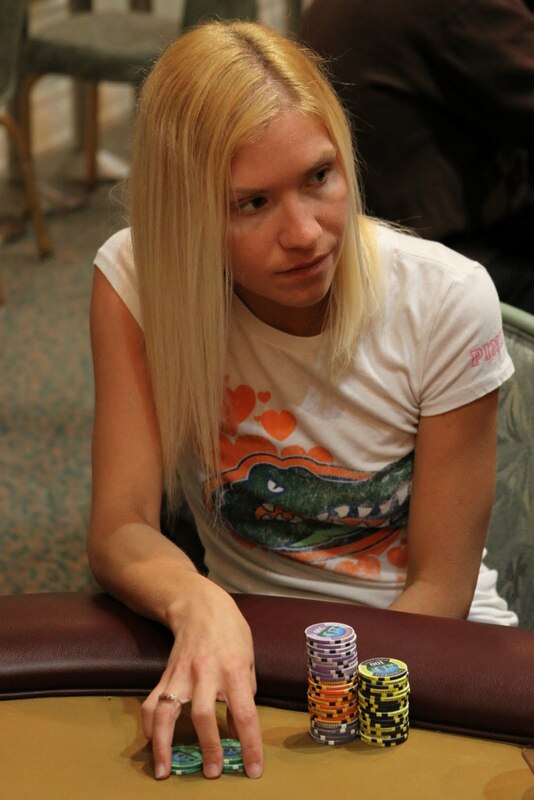 When play resumes, the blinds will be increased to 30K-60K with a 10K ante. The turn was the [Th] and the river came the [Jc]. McCaffrey's nines held up to eliminate Batza in 6th place. The board came [6h][5d][3d][8s][9c] and McCaffrey won the pot and eliminated Kreymer in 7th place.